One of the heaviest (and plushest!) microfiber towels out there! The edges of this luxuriously plush microfiber towel are sewn using 100% cotton finish threads for a safe and soft border that won’t damage delicate scratch-sensitive surfaces and modern clear coat finishes. The cotton trim helps prevent swirls and scratches keeping your car looking show room new. 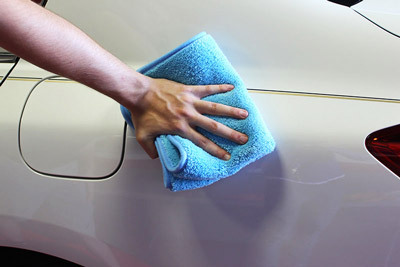 The total cleaning surface area of the Heavyweight Buff & Polish Towel is increased exponentially due to the dense and highly concentrated ratio of fibers per square inch. A single satin edge towel will do the work of several inferior towels, with cleaning power to spare! Use your Heavyweight Buff and Polish Towel to dry after a wash, buff away waxes and polishes, or with a quick detailer for a final shine! The Heavyweight Buff & Polish Towel weighs in at whopping 3 ounces! It feels heavy because it is heavy! Each towel is made from hundreds of thousands of premium density packed microfiber strands creating a compact pillow of plushness. Super plush microfiber towel. In the future, I will only be purchasing these towels. They are perfect for using with a quick detail spray. This is a really nice towel, but it REALLY heavy. I use it mostly for spray way after a wash, and it's very soft, so I don't worry about it scratching the paint. But it's so heavy that it feels like there is friction. Still trying to find the best use for the towel. Maybe sealant removal. Not a bad towel but not great for waterless wash. This is a sturdy, plush microfiber towel that would definitely be suitable for a clean-car spray detail, or for wax removal. 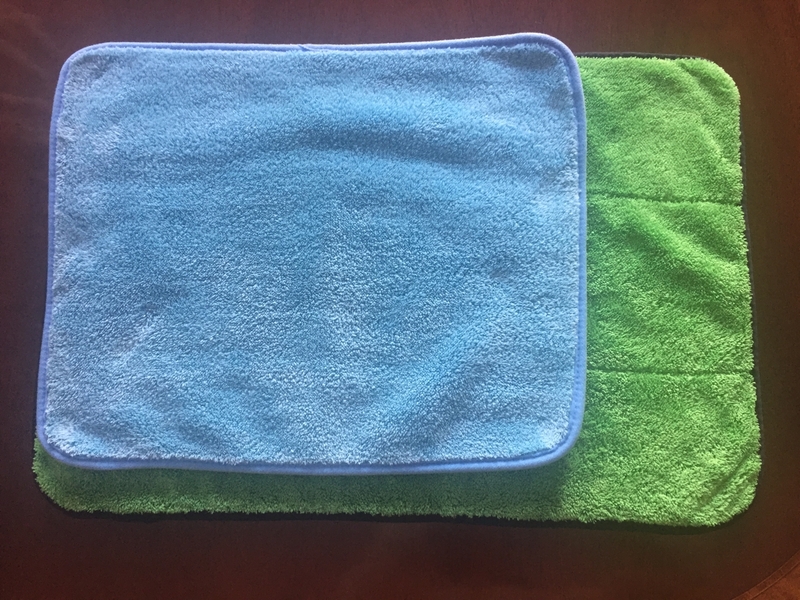 But as a waterless wash towel (the reason I bought it) it is way too small to be a superior choice since the more surface area the towel has the longer you are able to use it without fear of causing a scratch, and to get the shine where you need it to be from buffing. A towel ought to be able to be folded into fourths and this towel is just too small to be effective when itâ€™s even folded in half. There are definitely better options available for waterless wash at this price point.